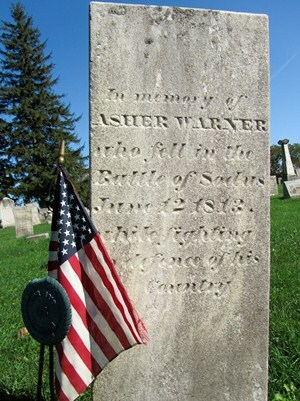 Very little is known about the early life of Asher Warner. Genealogy records indicate he was born around 1777 in Maine. 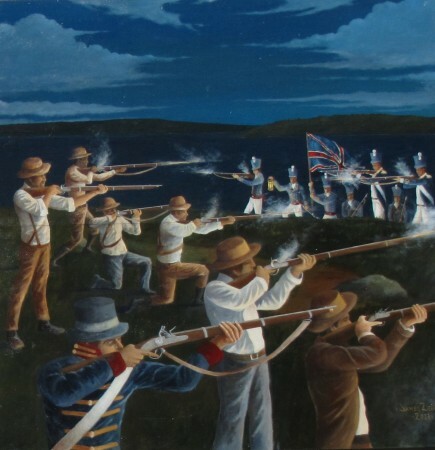 Almost everything we know about him is a result of the stories and newspaper articles that came out of the Battle of Sodus Point that was fought on June 19th, 1813 during the War of 1812. We know that Asher Warner was a volunteer which means he was not part of the militia and as a result probably had no military training. 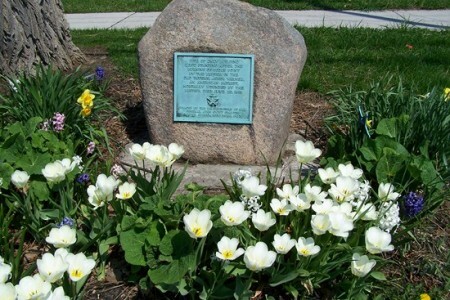 This much is known with certainty, however: his ultimate sacrifice in the defense of out town has inspired a historic mural and a boulder plaque dedicated to the memory of this American patriot.